Heading back to school is quite an undertaking. You spend a few weeks (at least!) trying to find all the needed clothing, shoes, and school supplies! When #SchoolHappens, Staples stores are the place to be. Staples CEO, Shira Goodman, stopped by her local store to chat with kids and parents about back to school and thank them for choosing Staples. Once you have all you need and school starts, it can be difficult to keep the connection to your kids that you’ve built up all summer. Are you sending them off prepared? Will they miss you? Will they need you? Do they have all they need? We’re sharing 7 simple ways to help you stay connected to your kids even when they are gone from you all day long…at school. You probably love new office supplies at work, and kids are no different. If you slip in some fun school supplies unbeknownst to them into their backpack, they’ll know you are thinking about them when they find it. 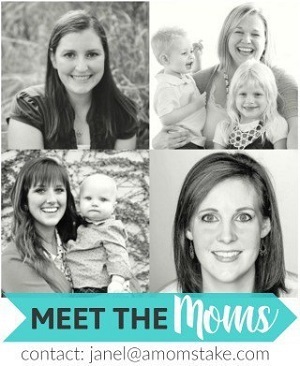 When #SchoolHappens, all moms want to know what kids like. So, Staples’ SVP of Merchandising, Liz Haesler, did some research. Well, Staples’ back to school supplies ace the cool test. 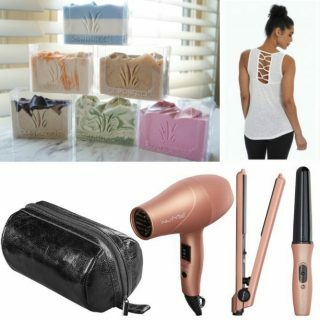 Even better, they’re at prices all moms will love. Staples has some out-of-the-ordinary pens and pencils, unique post-it notes and stickers that just make the day at school a little brighter. 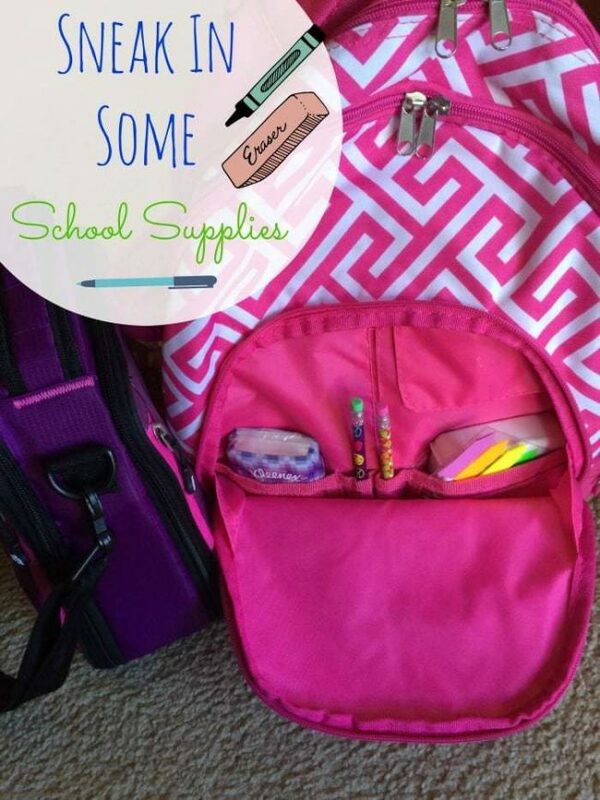 You can find quite a few fun school items for under $5 that will put a smile on their face. 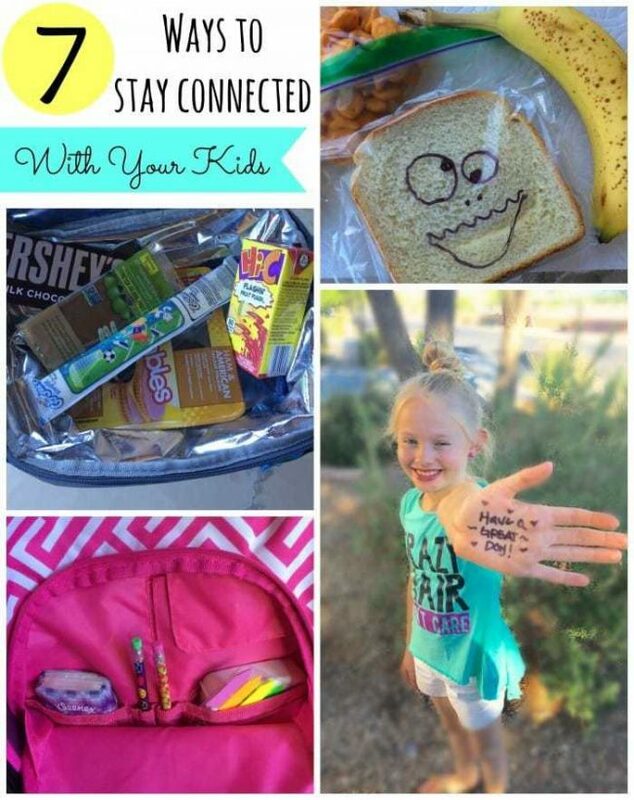 If your child brings their lunch to school, this is the perfect place to send them little notes, jokes, pictures, to let them know that you love them and are thinking about them. You don’t need to be an artist to draw a funny picture on their napkin, or write a knock knock joke on cute paper or post-it note on their sandwich, or an inspirational quote or “Good Luck” message for their day. Staples has some of the most fun sticky notes and memo pads that you can use to send your love notes. Most older kids now carry smartphones with them to school. Although they usually can’t receive texts during classes, checking their phone at lunch or breaks and finding a hilarious meme or a really bad “Dad Joke” from home can be just what they need to get through the rest of the day and still feel connected to their mom and dad (although they will never admit to this). If you can be super sneaky, and get something special into their lunchbox without them knowing, they will for sure come home all smiles! My kids never take a full-size candy bar as a treat in their lunch, but every once in a while I’ll slip in a Hershey’s Bar without their knowledge. At after school pick-up time, that’s almost always the first thing they mention, “Loved that candy bar Mom! When did you put that in my lunch?” The checkout aisle at Staples is a perfect place to find some out-of-the-ordinary treats. Students as young as First Grade will sometimes have access to school email. You can send them an email just telling them you love them and to have a fantastic day. It is best to not have these emails be time specific because they might not be able to check it every day. But whenever they DO get to log on and check their email, they will love their special message!! Some kids battle a lot of anxiety heading off to school every morning. They might come home completely happy that they went, but the next morning might be an entirely new battle. 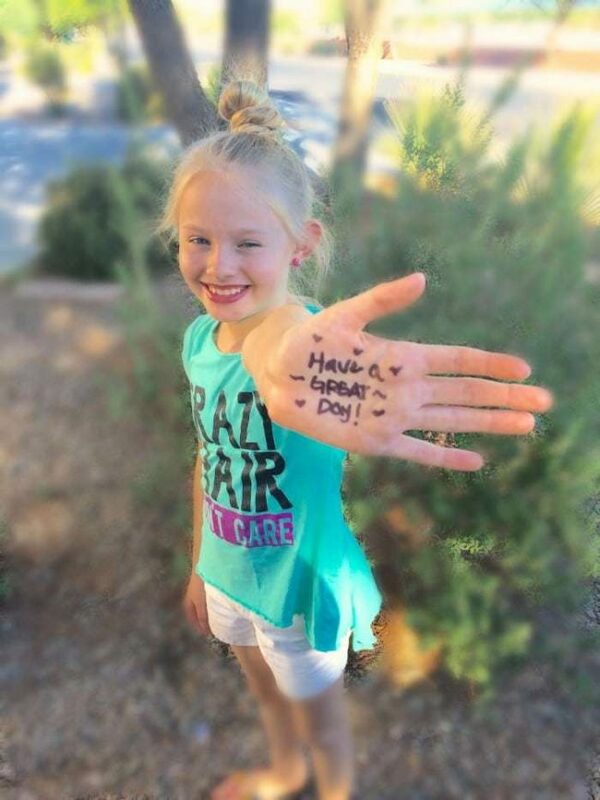 Sometimes a note written on the palm of their hand, can be just enough love and encouragement to get them through their day. Staples has some of the cutest Sharpie packs with a variety of fun colors to send your love notes. If your child normally packs their own lunch, fills their water bottle each morning on their own, or loads up their backpack, do it for them one morning. Whatever you do EVERY morning, becomes routine, not special, but if every once in a while you pack a lunch for them, they will think about you and know they are loved while they eat it during the day. 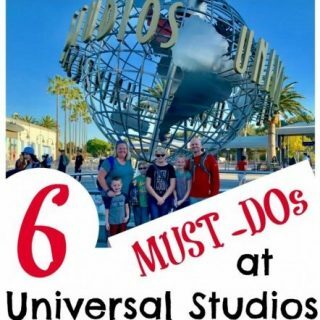 Try one or two or SEVEN of these great ideas to keep connected with your kids when they are at school and let them know you love them and are thinking about them while they are off working hard at their “job” studying! Staples 110% Lowest Price Guarantee – Staples matches any competitors’ prices, plus gives customers an additional 10 percent of the difference between the Staples price and the competitor price at time of purchase. Technology Deal – Receive FREE 30 days of tech support with any laptop, desktop or all-in-one PC purchase at Staples. Staples Rewards or Teacher Rewards – Members earn up to five percent back in Rewards and receive free shipping on orders over $14.99 on Staples.com. Teacher Rewards members receive up to ten percent back in Rewards on teaching and art supplies. Staples Brand Products – Shop Staples Brand Products for a great assortment at an everyday value. How else do you like to stay connected with your kids while they are at school? It’s always about the little things that make all the difference. This is a good go back to article to remember to make it special every day! 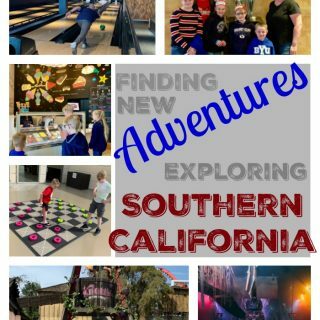 These are fun ways to stay connected with your kids while they are at school. I like to leave little pictures and notes in their lunches. 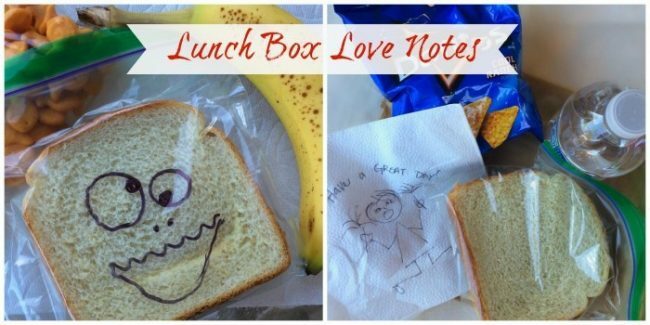 I love how a simple lunchbox note or bag drawing can really connect a parent and child. I need to remember this for the back to school season. Staying connected with your kids is so important at every stage starting in nursery school. Now that my 4 are all in college at the same time that sentiment rings truer than ever. It is definitely hard to find the time to stay connected with so much going on. Great tips! These are such great ideas. I love to surprise my little kindergartner while he is at school! I love staying connected with my kids during school! I always sneak a letter in their lunch boxes or I show up with their lunches at school they absolutely love it! Wow!! Things have changed so much since my kids were in school. I only had lunch and ‘love notes’. Ha! I love your extended list of ways to connect! Love the lunchbox notes. 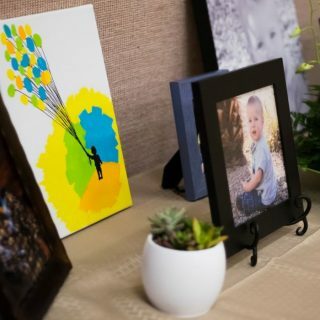 Such a cute idea and my kids would love to get them! I still put surprises in my son lunches. It is a fun way to show him I love and care! Love these surprises ! I especially love sending a silly text or meme to their phone during the day. These are all great ways to connect. I’ve always loved the idea of notes with their lunches. It’s always a nice surprise for them! I like to leave notes for the kids on the sandwich bags. These are all great ways to stay connected to your kids. I used to love putting surprises in the kids lunches. It is a fun way to make the kids smile. Although my daughter is a teenager, she still loves little surprises. I used to leave notes in her lunchbox, but haven’t in a while. I need to do that more often. I love all of these ideas. 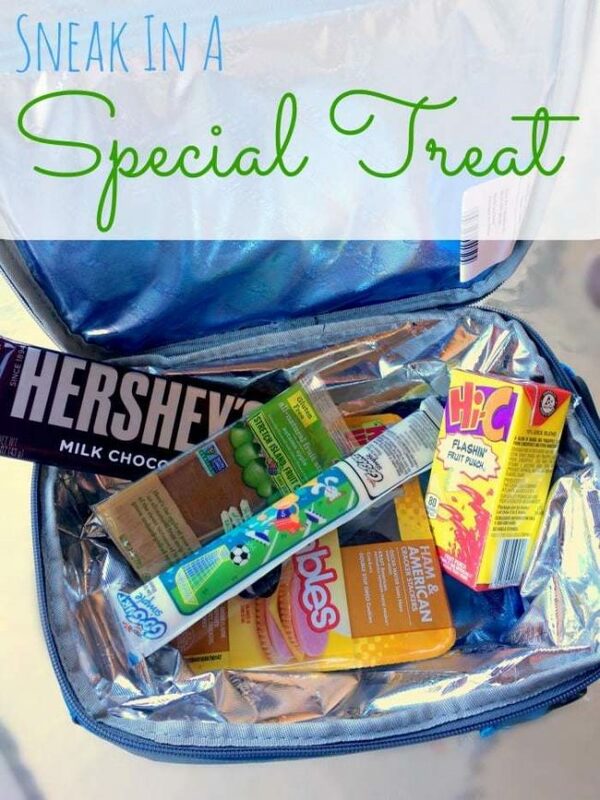 Sneaking in a special treat into the lunch box is something I will have to try. I always did the love notes in the lunchbox thing. They really loved that! Those are such adorable ideas. It is really hard to keep in touch with my daughter during school because she is so busy and , of course, gone all day! I love all these ways to stay connected! I try to write a note in his lunch as a special every once in a while! I need to do it more often though!